Why Is This Galaxy So Hard To Classify? Can you identify what type of galaxy you're looking at? Careful! The answer you give may depend on your angle. This is galaxy IC 335, a galaxy 60 million light years from our own — and it's a particularly tricky type of galaxy for astronomers to pinpoint. From our perch here on Earth, it seems to behave (both in size and in its aging star types) an awful lot like an elliptical galaxy. A closer look at it's shape though, shows the characteristic disk formation of a spiral galaxy. So which surmise is right? It's actually, explains NASA, a bit of both. 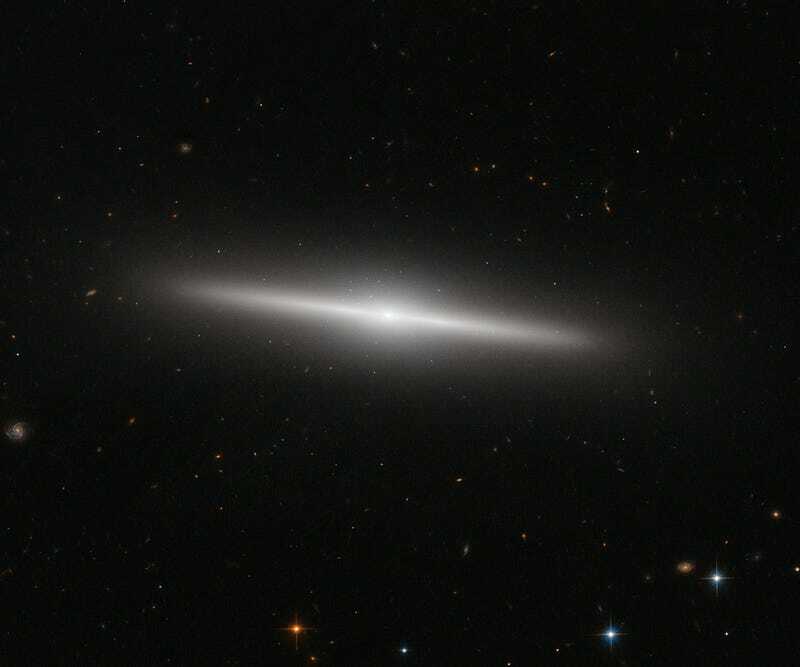 IC 335 is a rare lenticular galaxy, a galaxy which has some characteristics of a spiral galaxy and some characteristics of a elliptical galaxy at the same time.